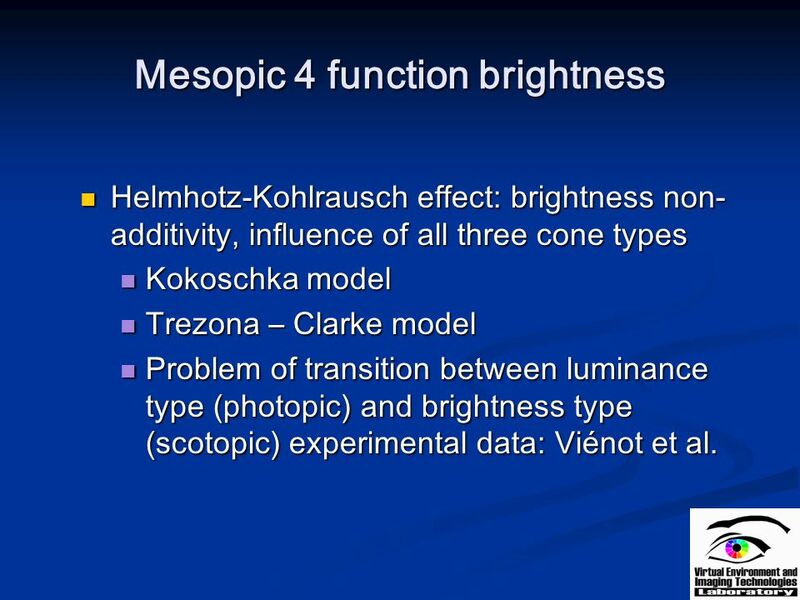 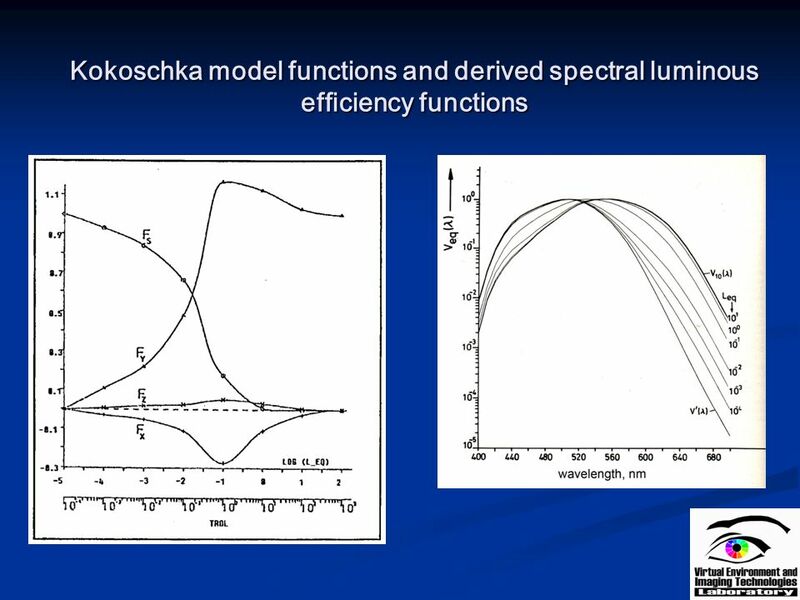 Helmhotz-Kohlrausch effect: brightness non-additivity, influence of all three cone types Kokoschka model Trezona – Clarke model Problem of transition between luminance type (photopic) and brightness type (scotopic) experimental data: Viénot et al. 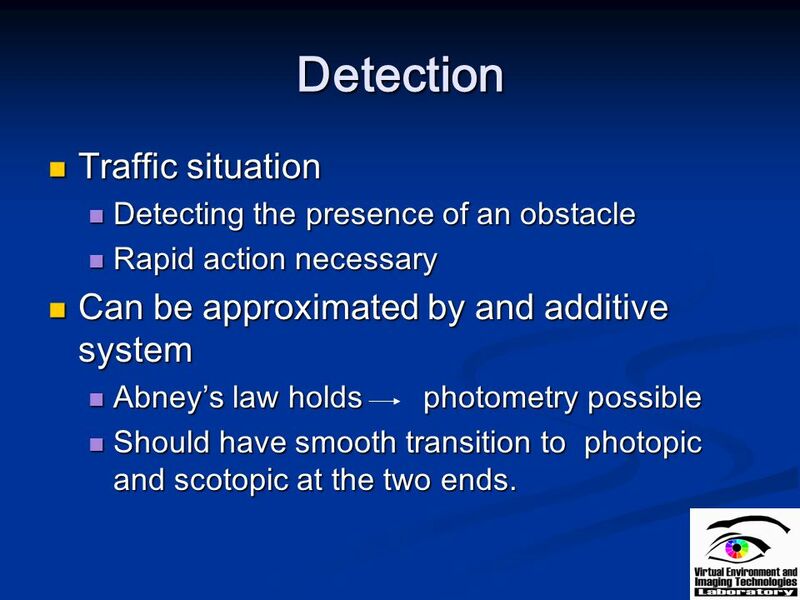 Detecting the presence of an obstacle Rapid action necessary Can be approximated by and additive system Abney’s law holds photometry possible Should have smooth transition to photopic and scotopic at the two ends. 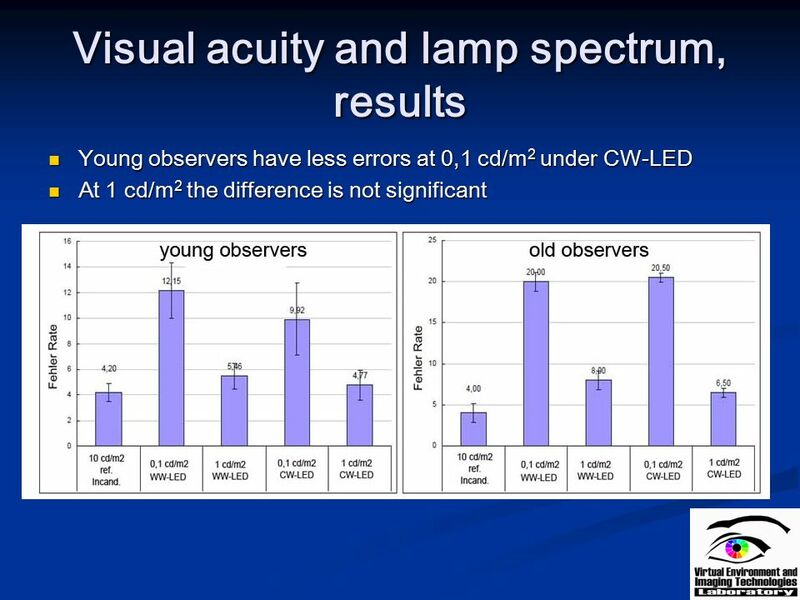 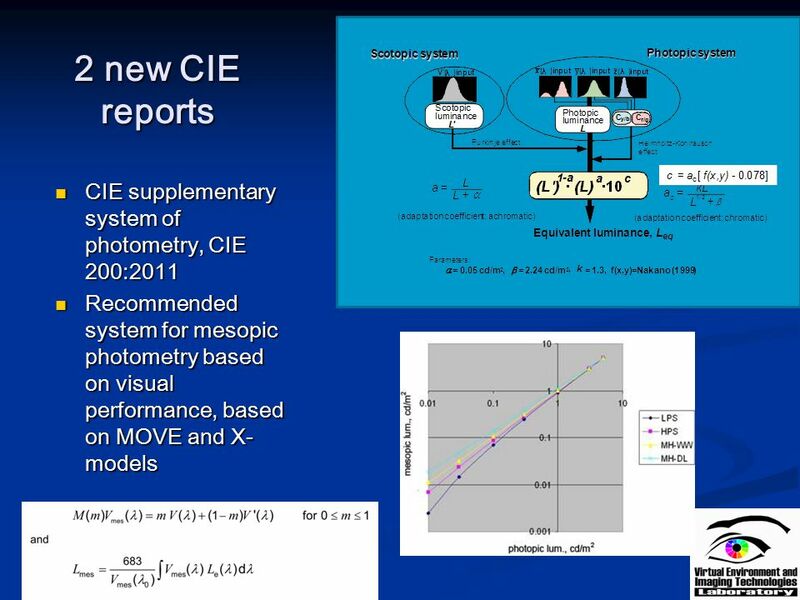 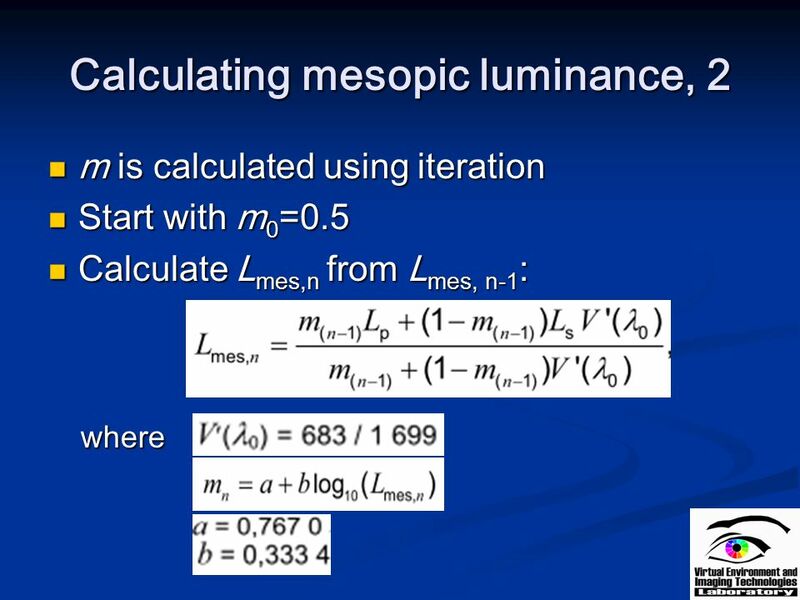 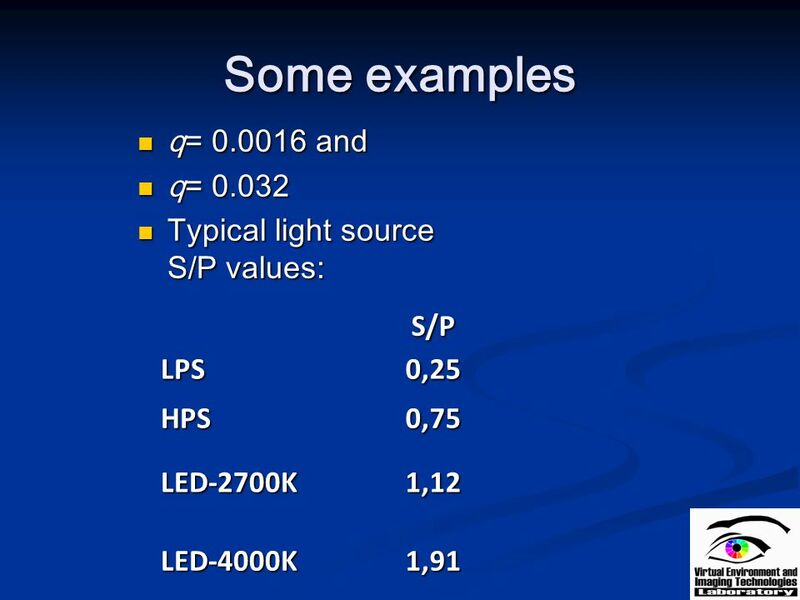 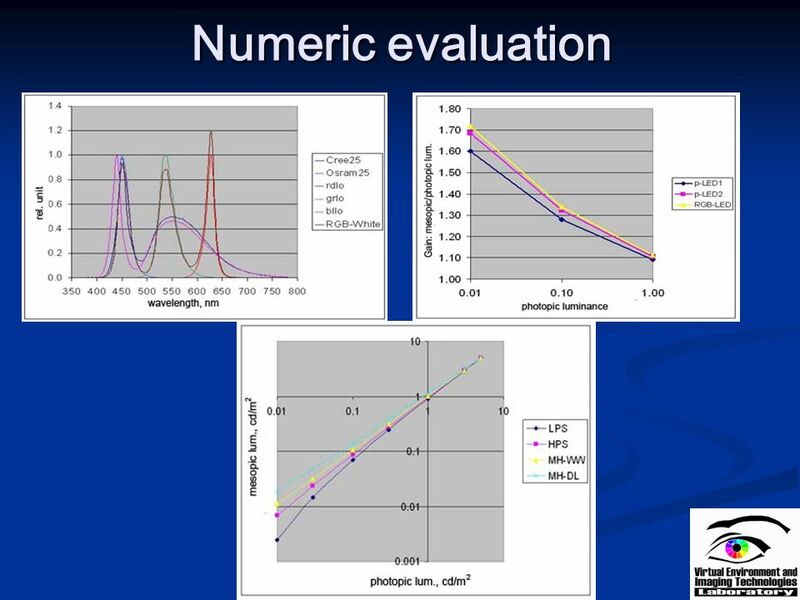 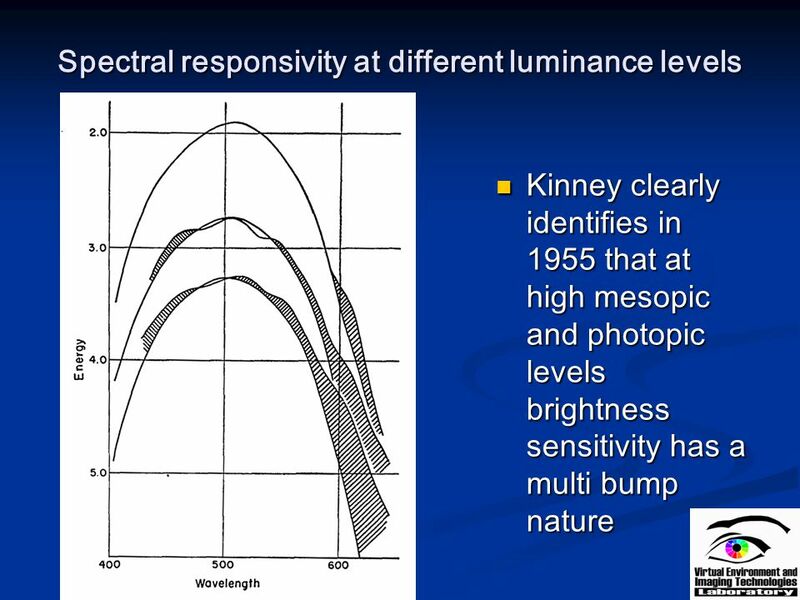 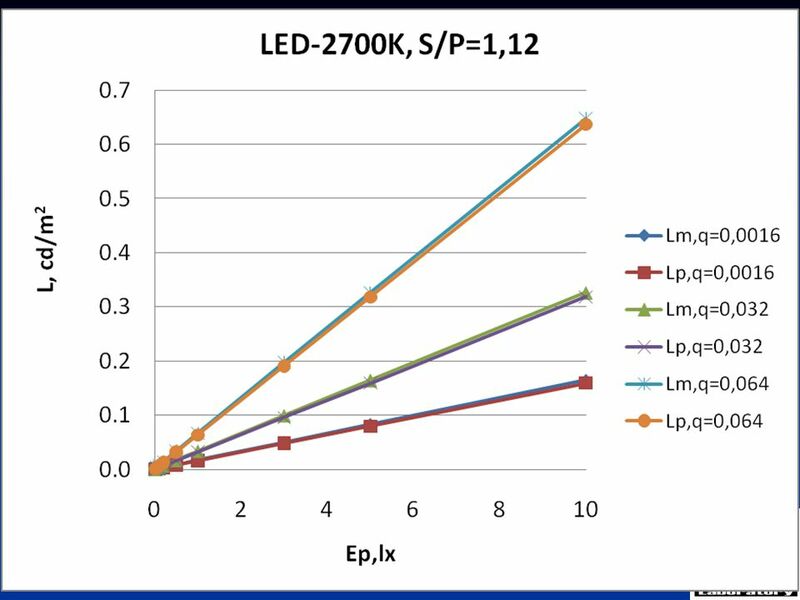 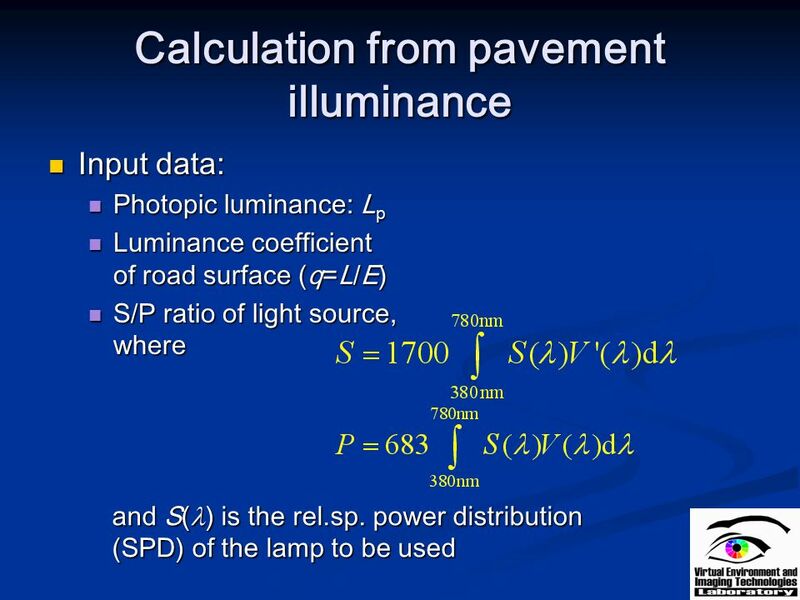 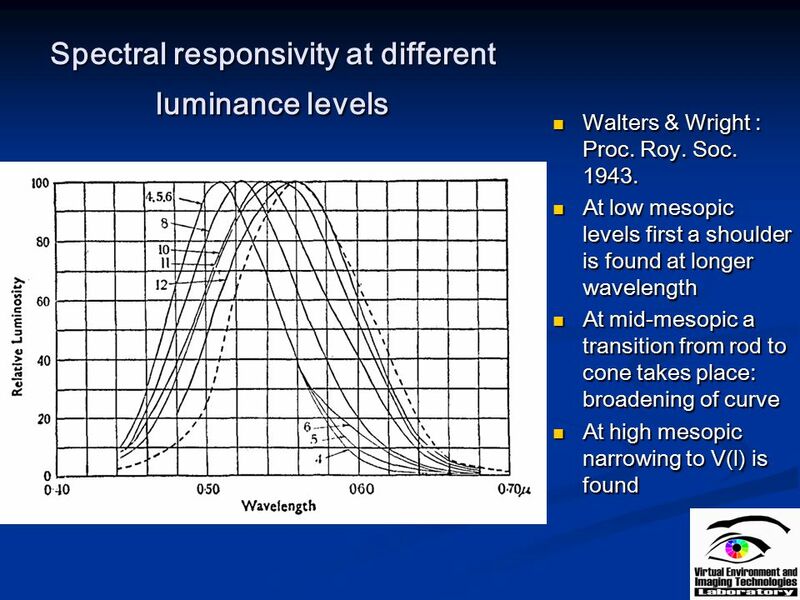 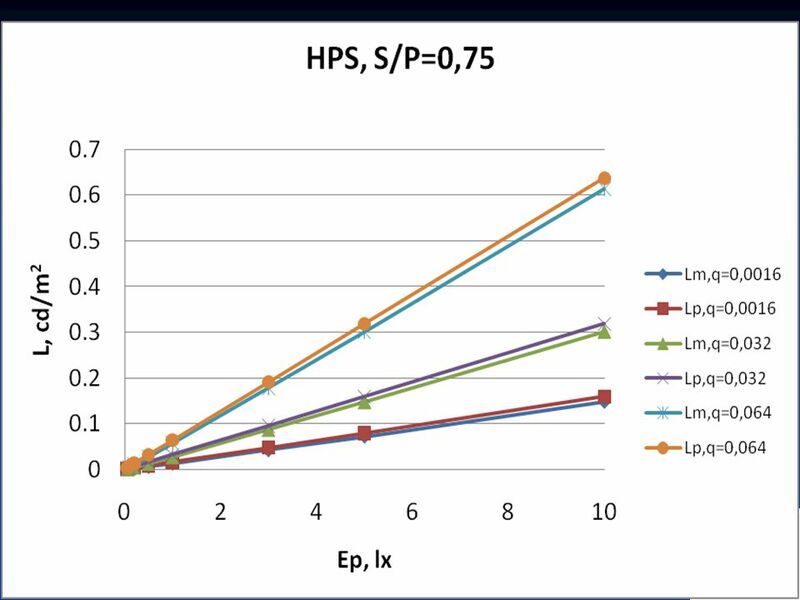 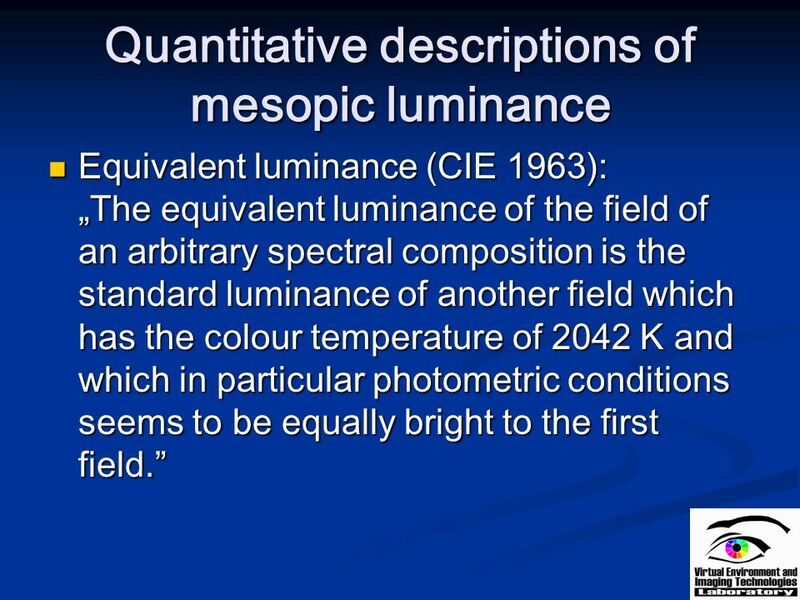 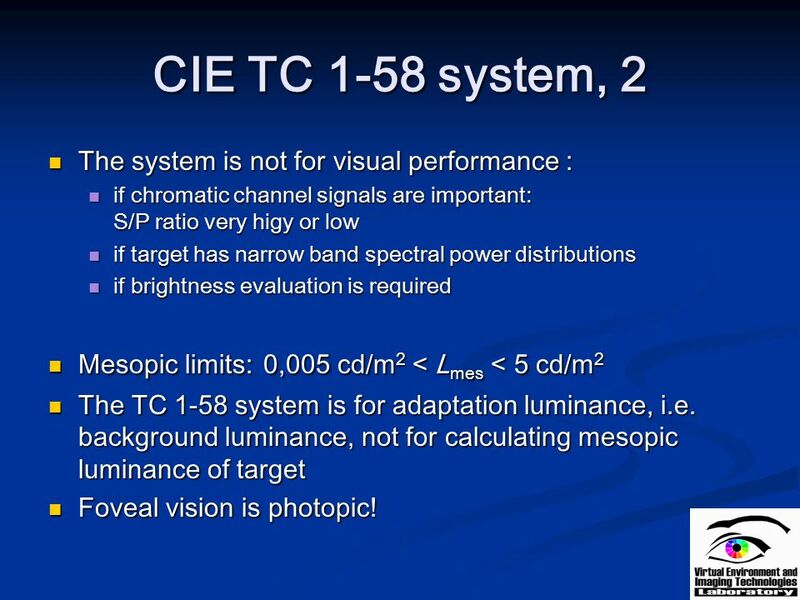 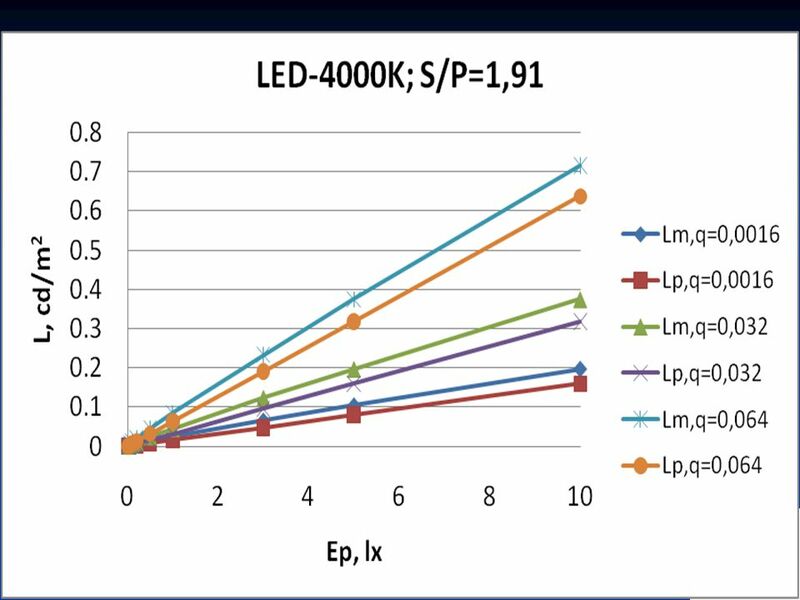 if chromatic channel signals are important: S/P ratio very higy or low if target has narrow band spectral power distributions if brightness evaluation is required Mesopic limits: 0,005 cd/m2 < Lmes < 5 cd/m2 The TC 1-58 system is for adaptation luminance, i.e. 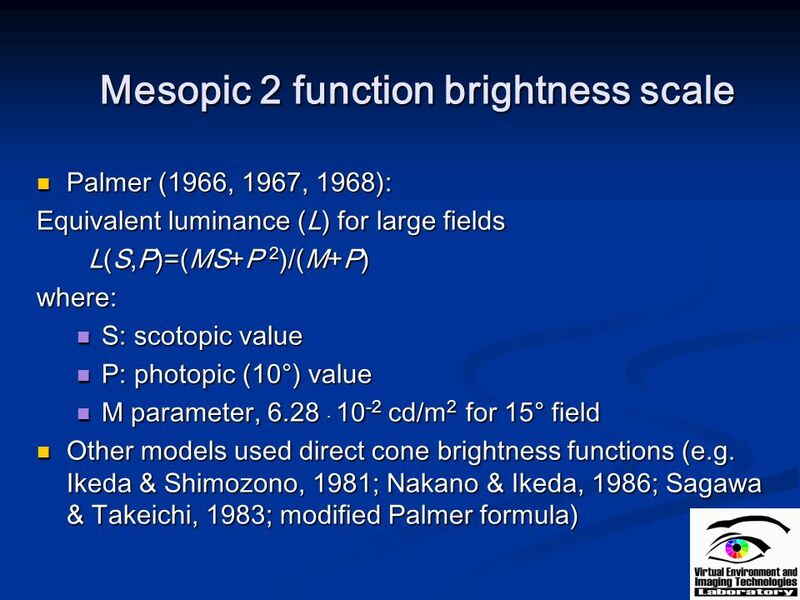 background luminance, not for calculating mesopic luminance of target Foveal vision is photopic! 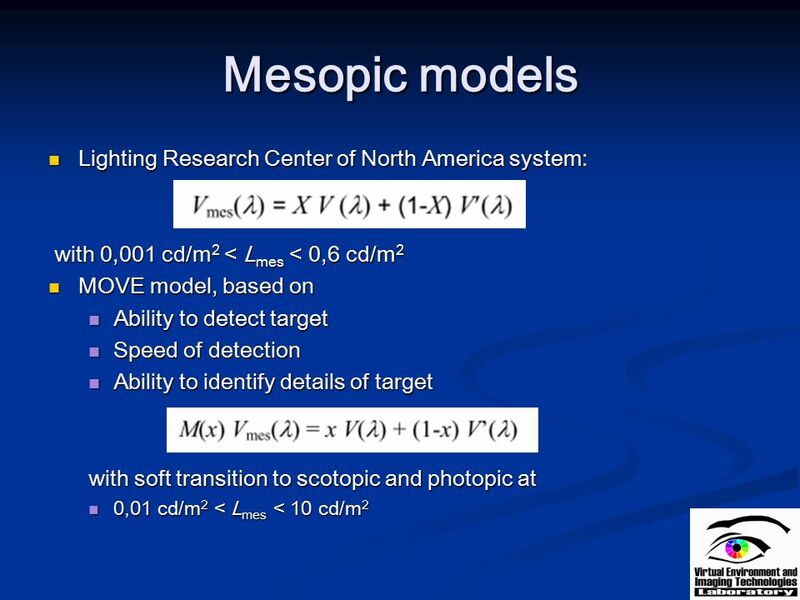 Download ppt "Mesopic vision model and its application"
The Eye. 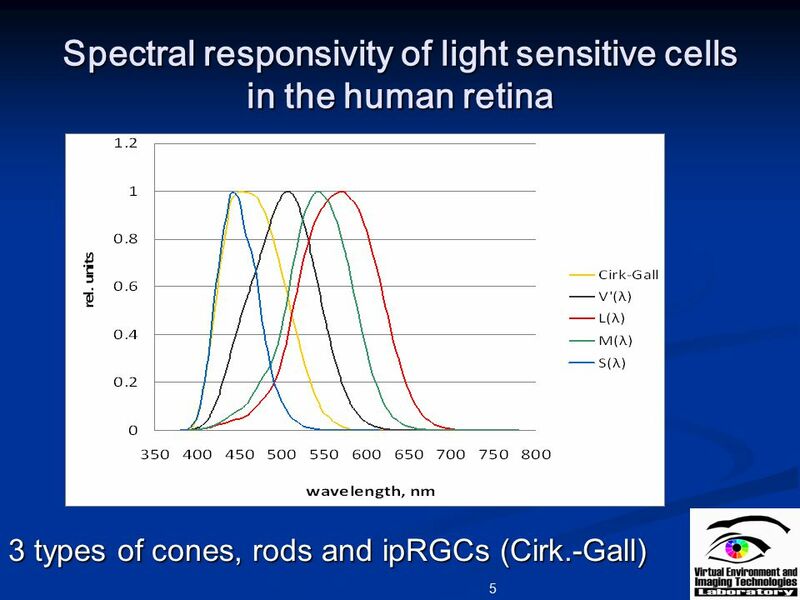 Rods and Cones The eye is made of cells that are called Rods and Cones. 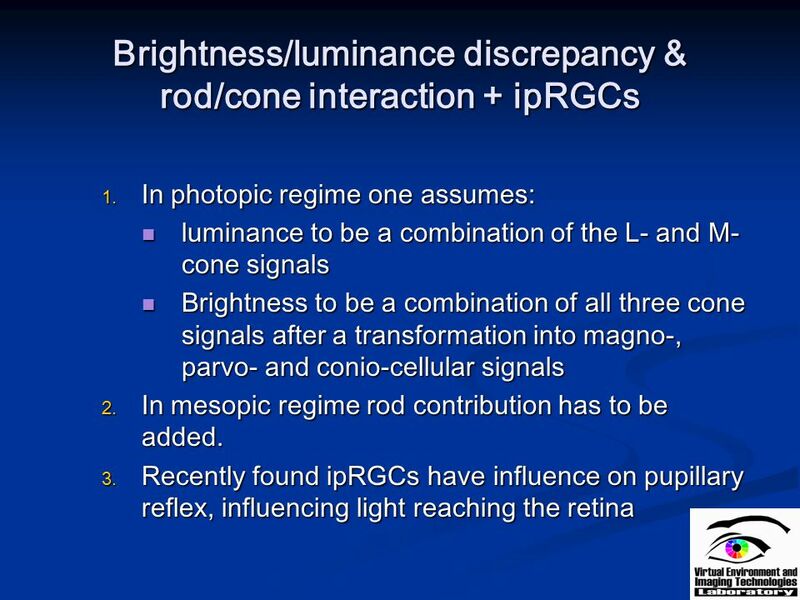 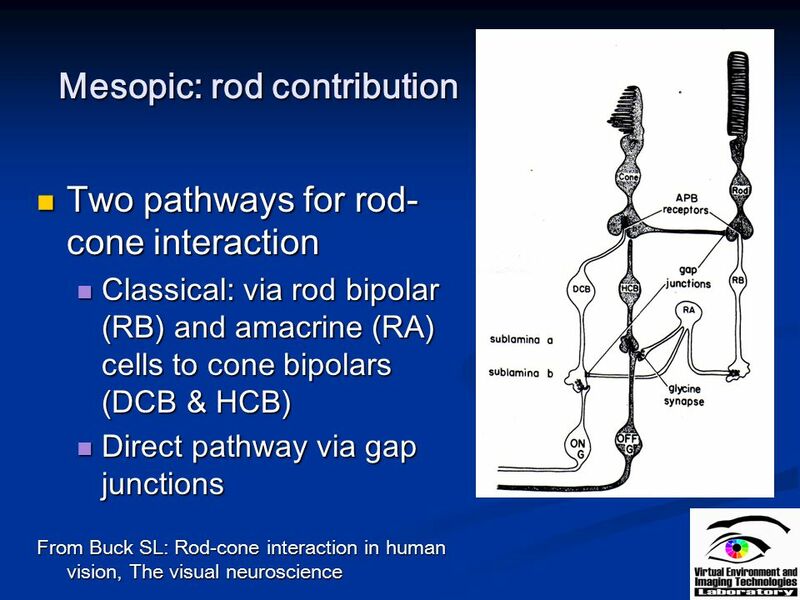 Cone cells are coned shaped and Rod cells are rod shaped. 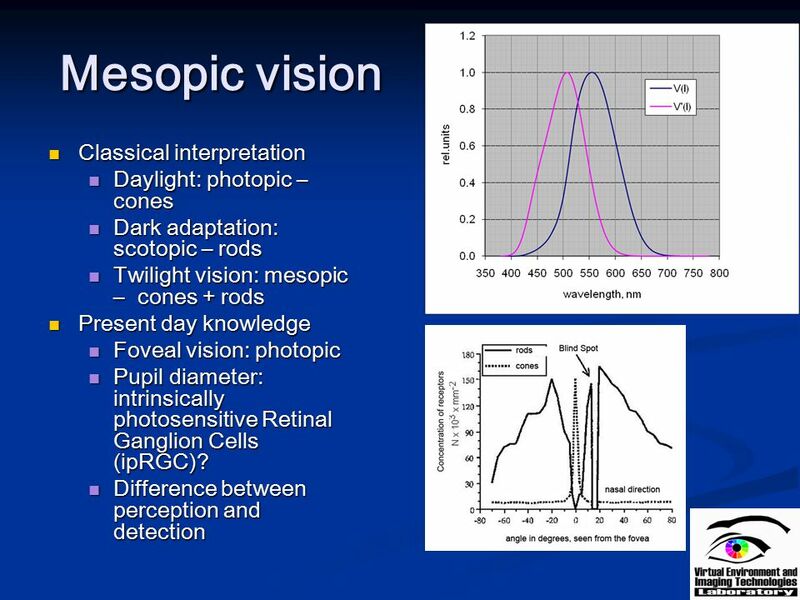 The visual system Part I. 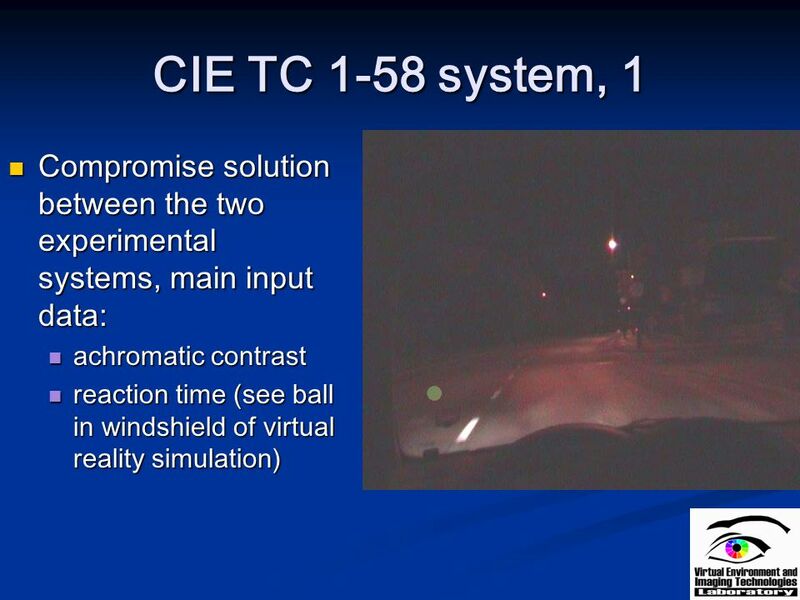 Chapter 6 Spatial Vision. 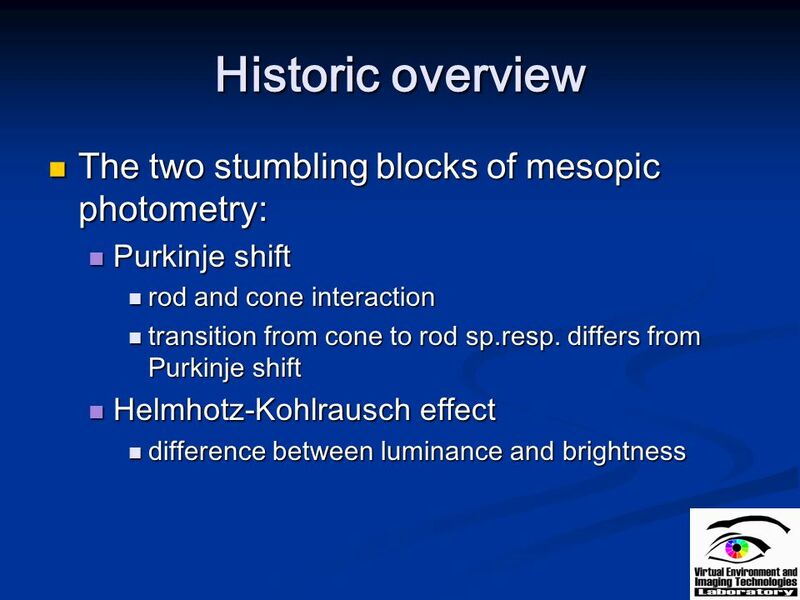 The visual system recognizes objects from patterns of light and dark. 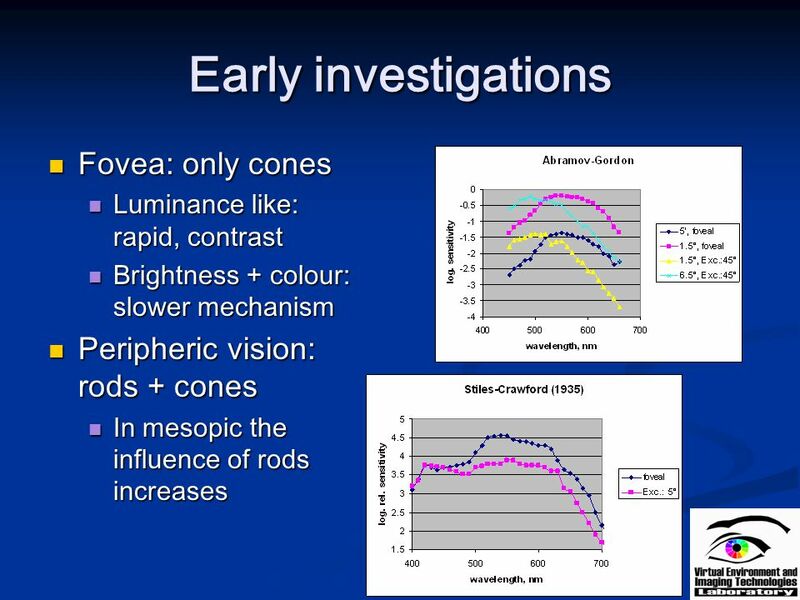 We will focus on the mechanisms the visual system uses. 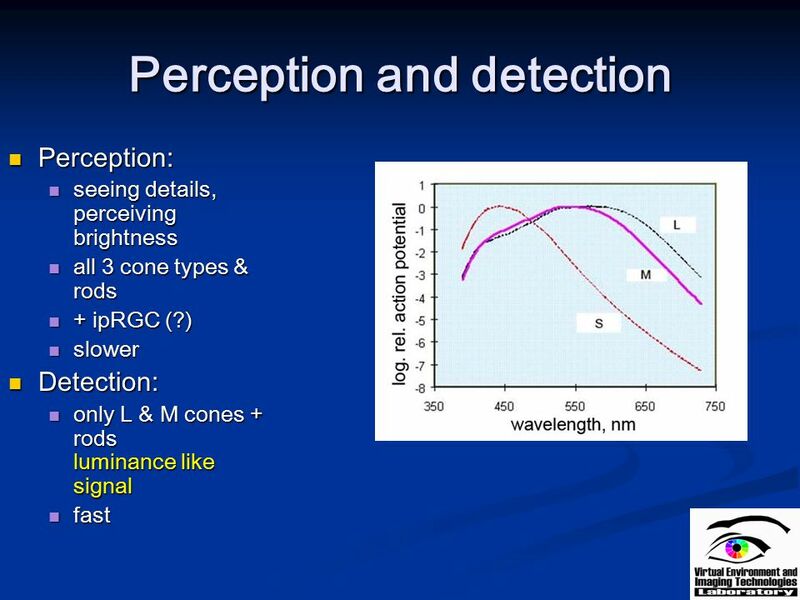 Perceptual Systems. 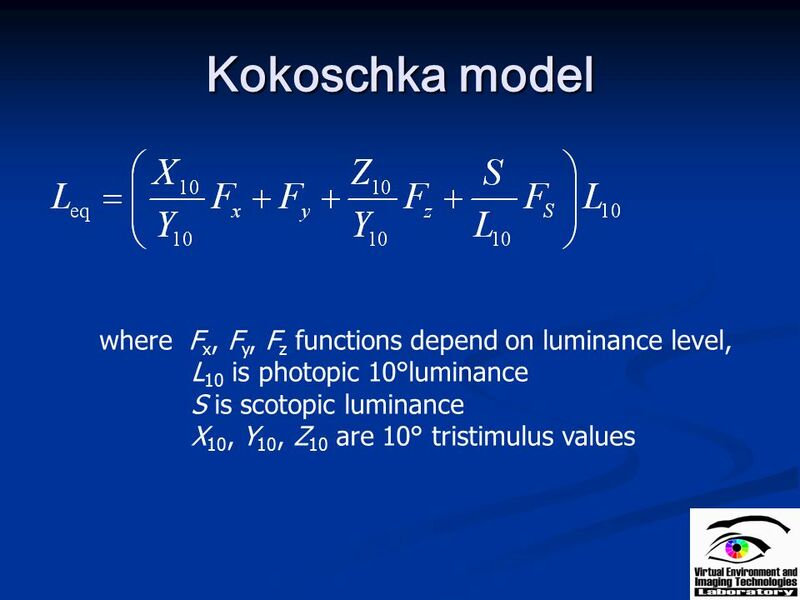 Readings, Class 1: Wolfe Ch 1,2 Kandell et al Chapters 26 Sources: Wolfe, J, Kluender, K, Levi, D. et al Sensation & Perception 2012. 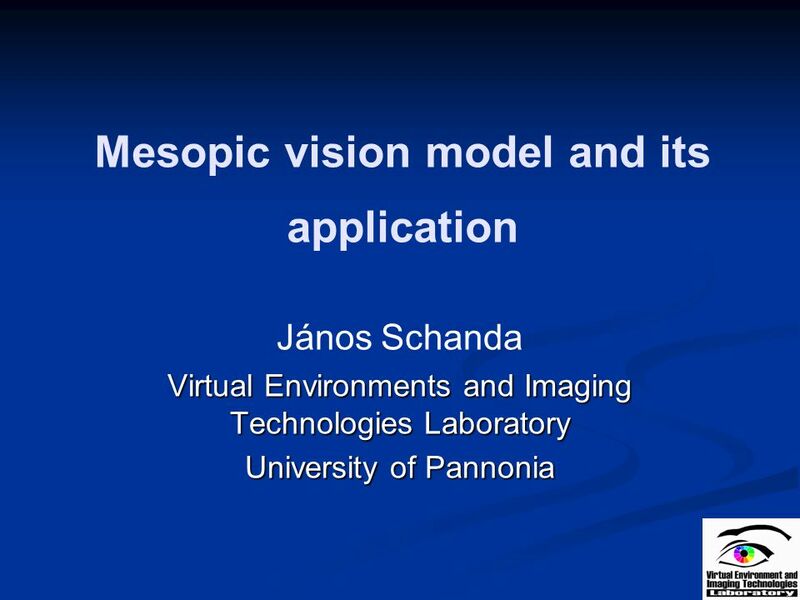 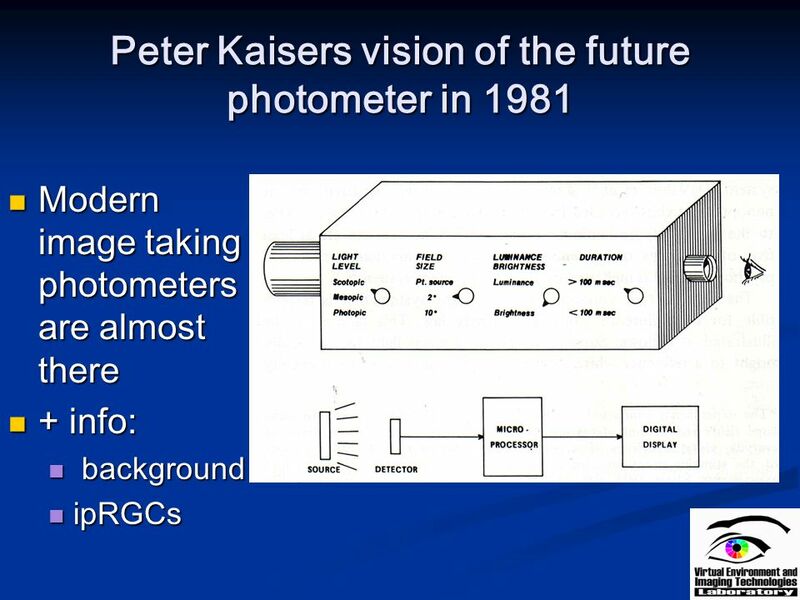 Colour vision János Schanda Virtual Environments and Imaging Technologies Laboratory University of Pannonia. 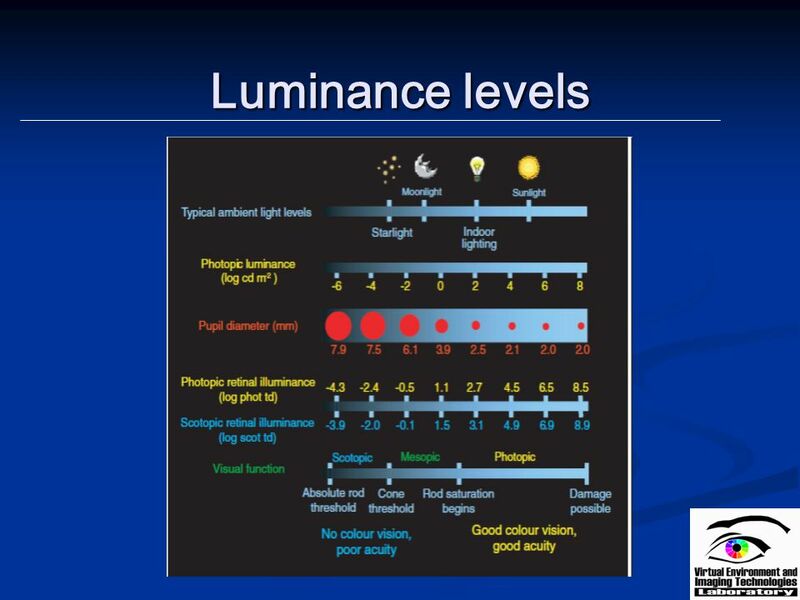 Light and dark adaptation The range of light levels over which we can see Why do we need adaptation? 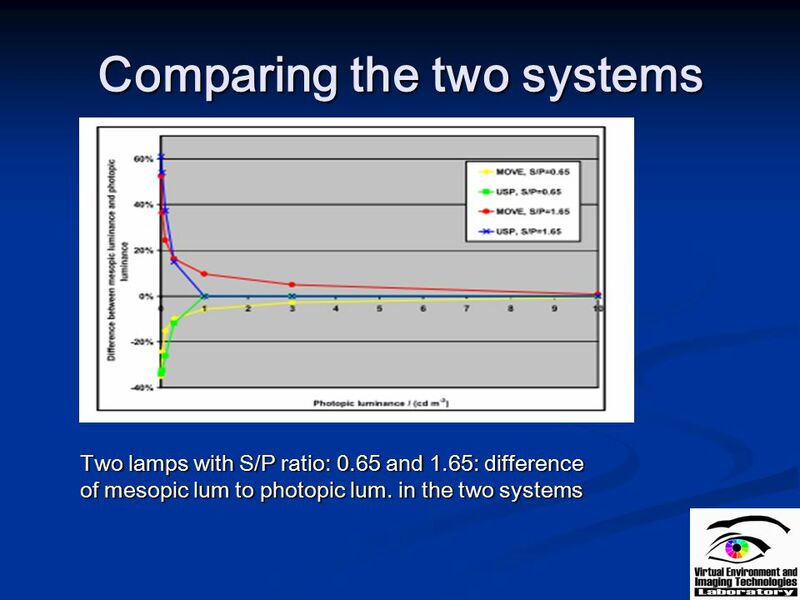 The design problem Role of pupil changes The duplex. 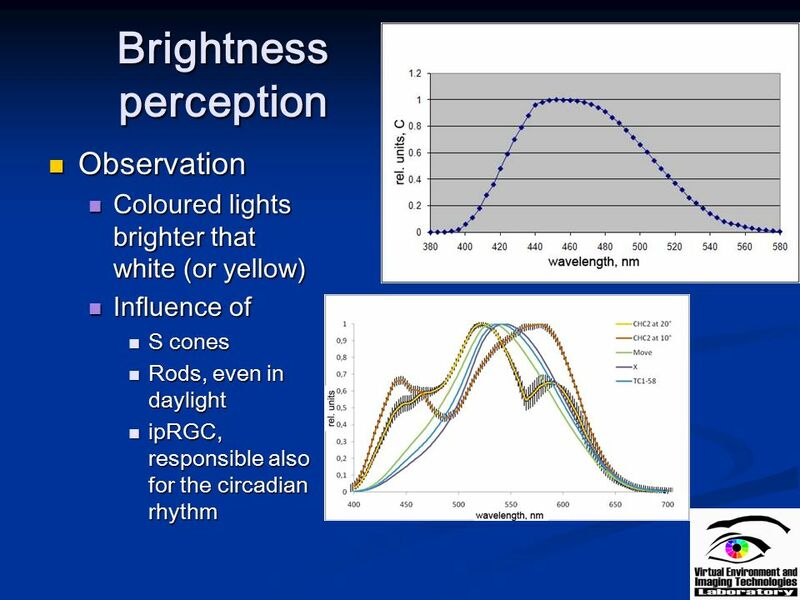 Perception Chapter 3 Light is necessary but not sufficient for vision Ganzfeld: a visual field completely lacking in contour, or luminance changes. 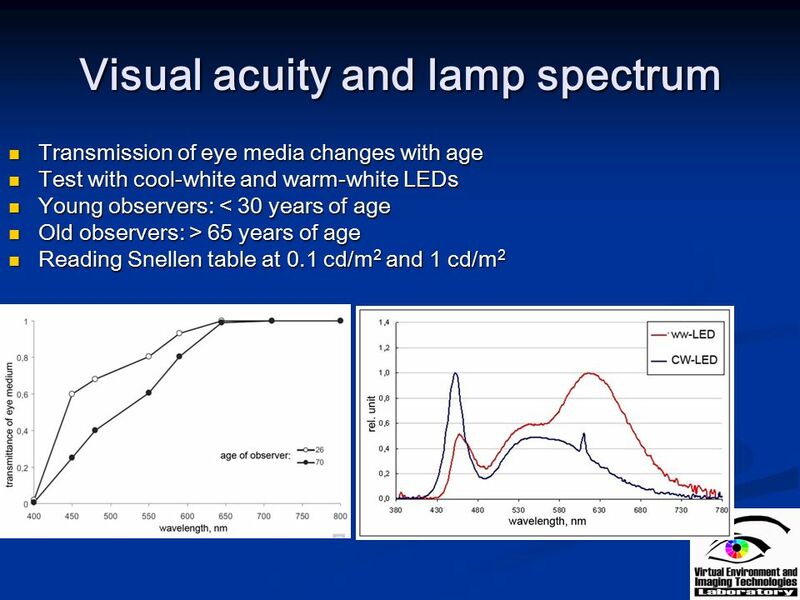 Prolonged. 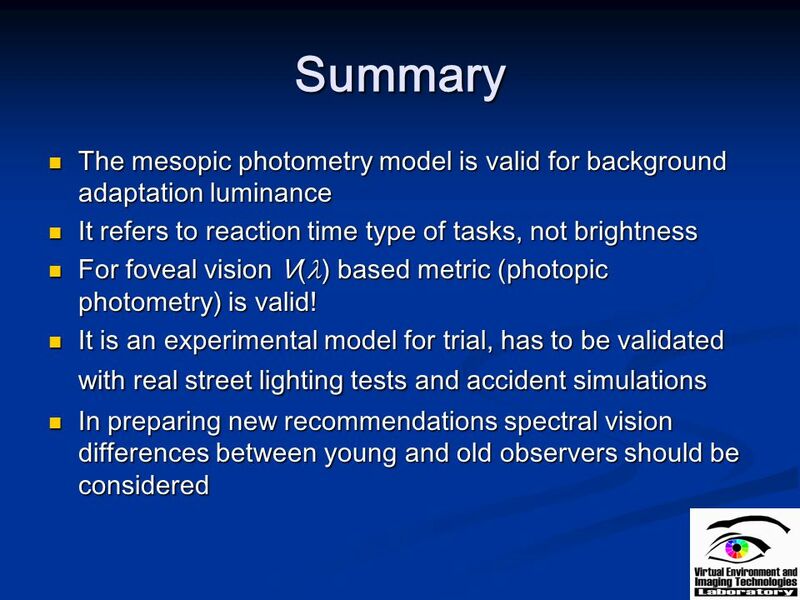 Perception of Stimuli Stephen Taylor. 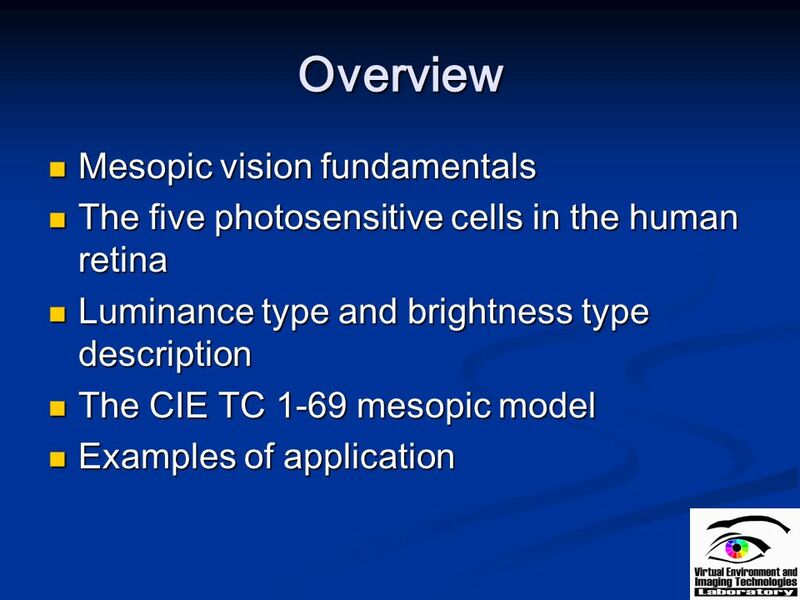 The visual system II Eye and retina. 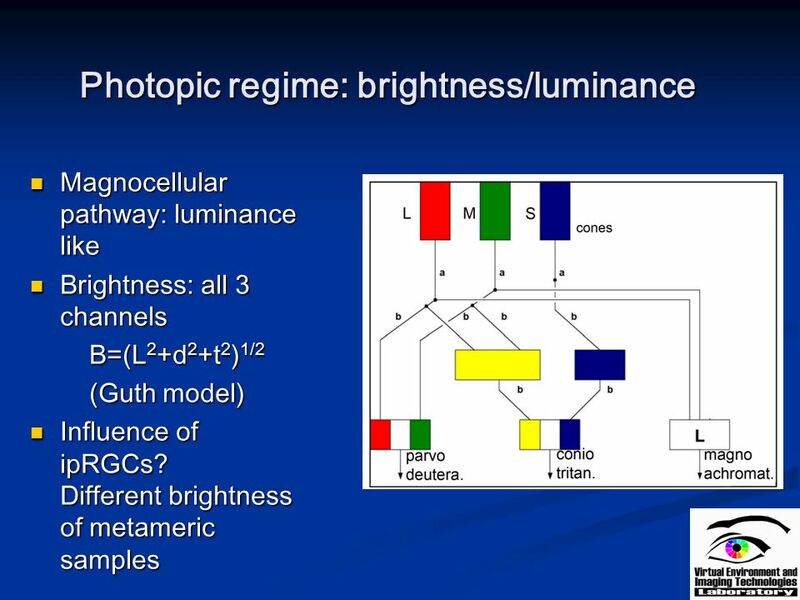 The primary visual pathway From perret-optic.ch. 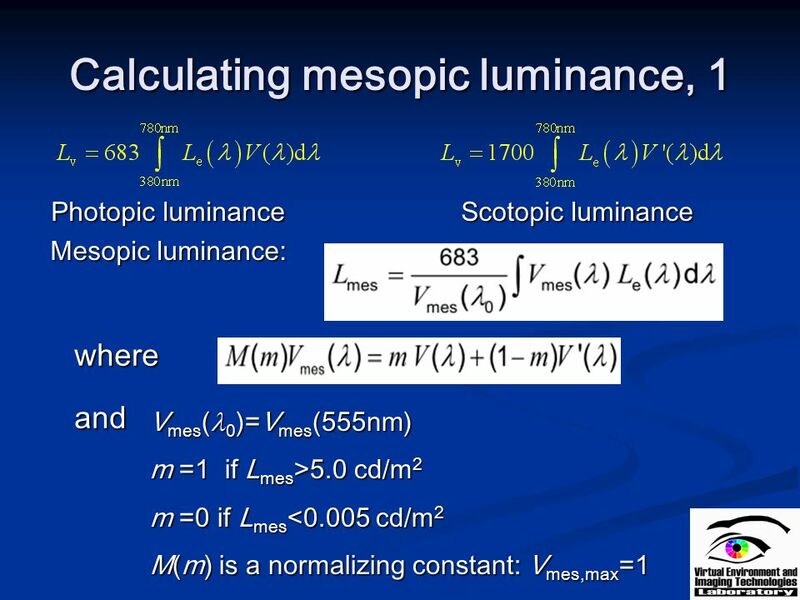 Why is this hard to read. 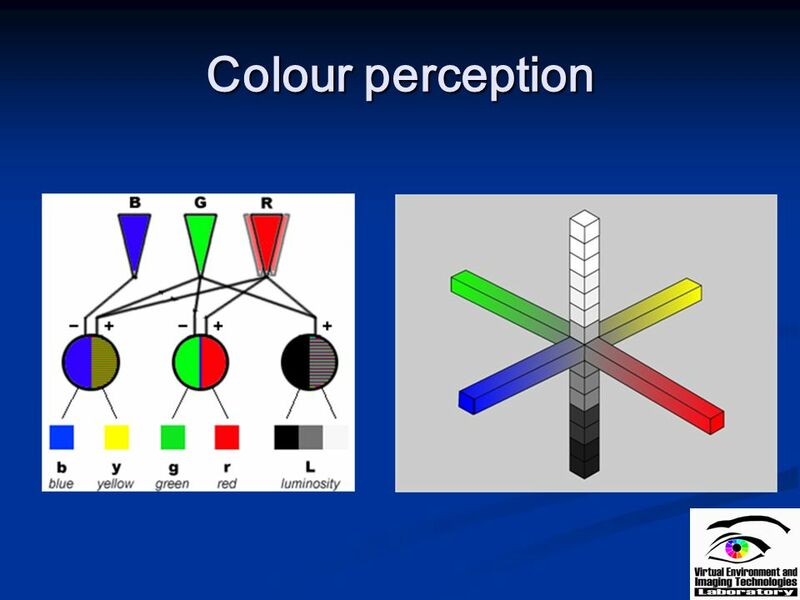 Unrelated vs. Related Color Unrelated color: color perceived to belong to an area in isolation (CIE 17.4) Related color: color. 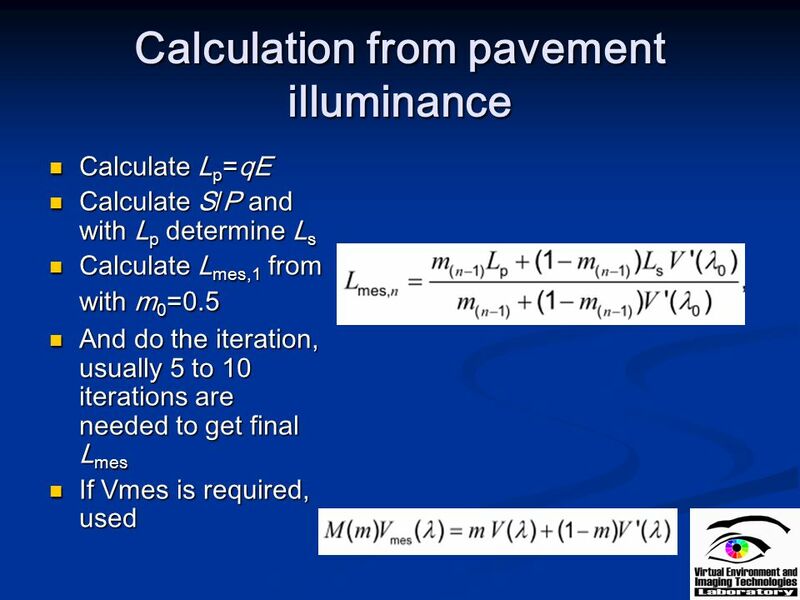 Midterm 1 was returned in this class -mean was “a little to low” - for future, Moodle will have an Open Discussion Forum for this class to catalyze engagement. 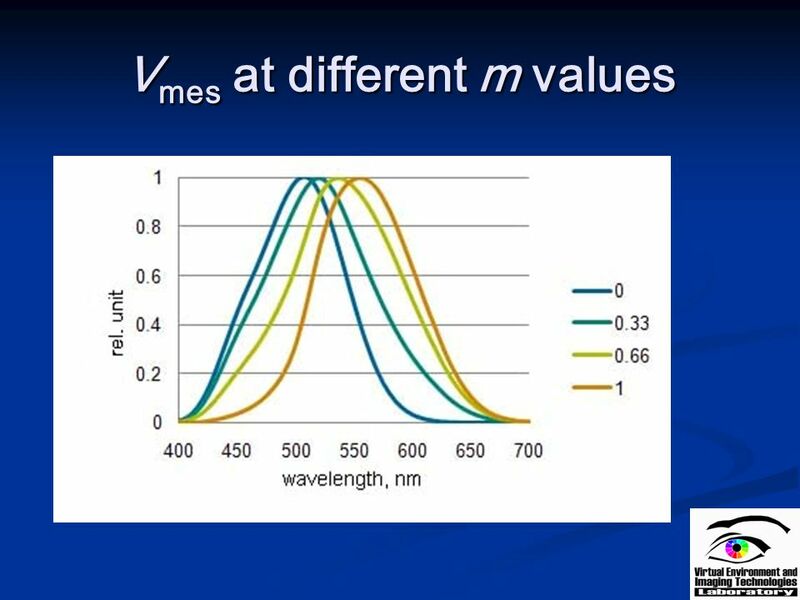 Unrelated vs. Related Color Unrelated color: color perceived to belong to an area in isolation (CIE 17.4) Related color: color perceived to belong to. 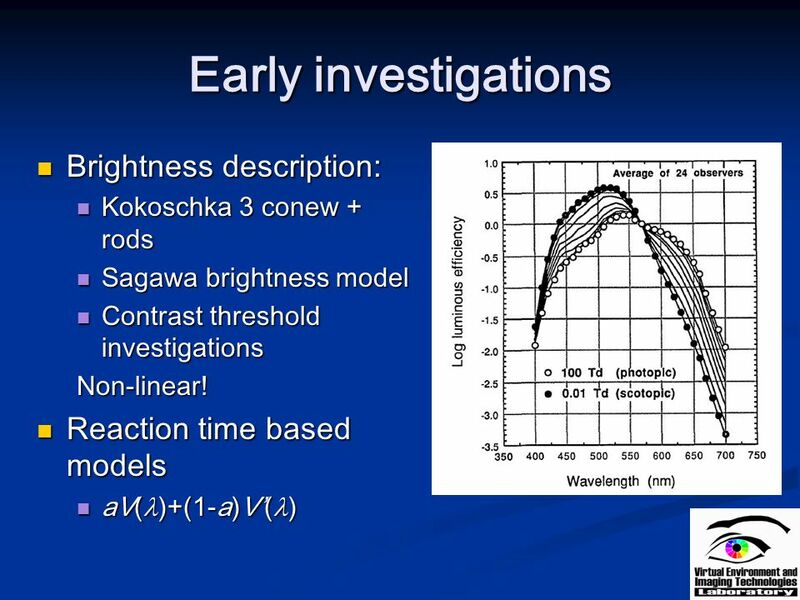 . 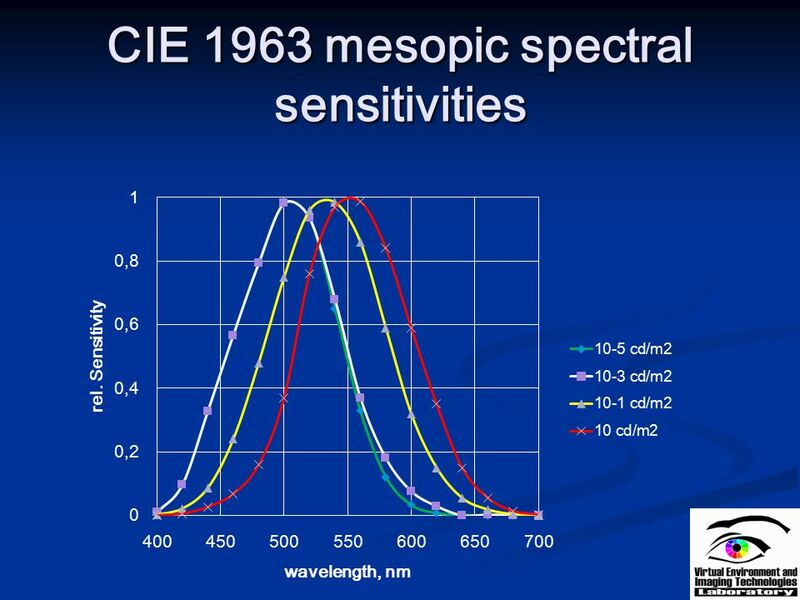  Sensation: process by which our sensory receptors and nervous system receive and represent stimulus energy  Perception: process of organizing and.